Do I as a lay faithful have the power to cast out demons? Strictly speaking, No. In the loosest sense, maybe. I am almost certain you may have seen a movie, a picture or heard a story about a demoniac being exorcised. This is usually colorful and dramatic. Whilst such movies might exaggerate things or even depart entirely from reality, sometimes they could actually be close to what a priest who performs a solemn exorcism experiences. Exorcisms are very very dangerous and when could actually go wrong, so it is not something to be taken lightly. Only a priest, with special training and express authority from his local bishop can perform a solemn exorcism. Solemn exorcisms are very rare and is a very long process. Some cases take month to a year. And there must be exhaustive medical evaluations to make sure there’s no chance the suspected demoniac isn’t actually suffering some medical problems. There have been cases where people with mental illnesses have been branded “possessed” and this has caused many people pain, suffering and even death. This is why the rule on exorcism is so strict that many dioceses in the world don’t even perform any in years. 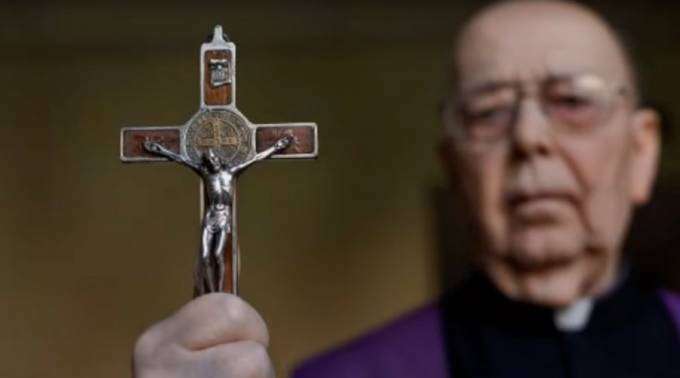 “In 1999, the Catholic Church carried out its first major update to the rules surrounding exorcism since 1614 and distinguished between demonic possession and physical or psychological illness. No, you do not have the power to cast out demons if you’re talking about the above. However, you could cast out demons by praying to God for protection from their influence, or by saying simple prayers asking God to free your home from the onslaught of evil. In this loose sense, yes, any Catholic can “cast out demons”. But not in a solemn or strict sense. Only an ordained priest has the faculties to conduct the rite of exorcism. Previous PostThe REAL power in group rosaries?